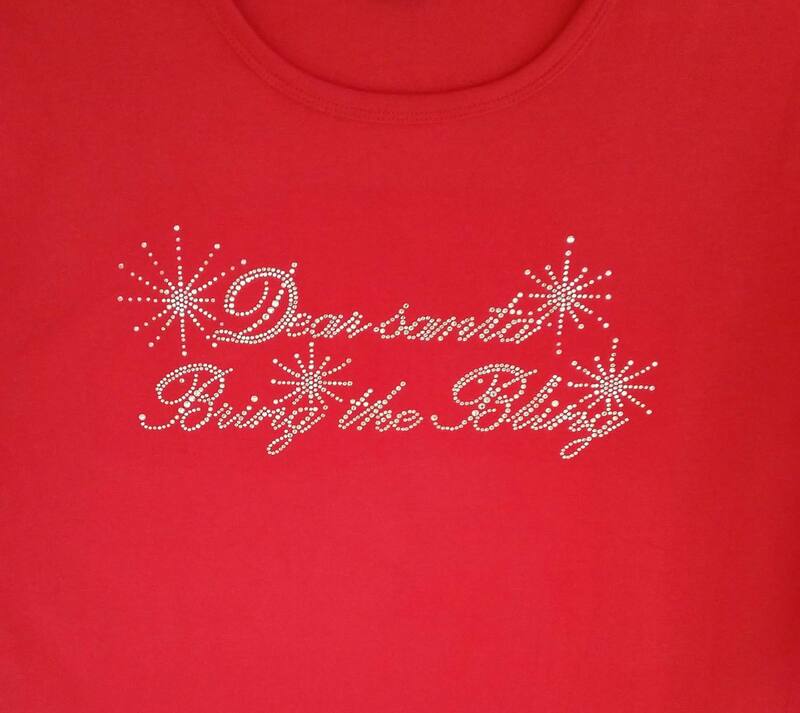 The all crystal rhinestone design is available on a scoop neck top in red or black. The motif is 12" x 5" and really sparkles & shines. A great girl friend gift. Order early. Click on Scoop Neck Top to see a full view of the top.